Read to know about the best low risk mutual fund portfolio. One of the best features of the mutual funds that has helped in increasing the popularity is the wide variety of options that are available for investments. This allows investors from different niche to make investments as per their comfort zone and risk profile. Now, as you may know that in our previous blogs, we covered aggressive mutual fund portfolio for high risk investors, and balanced mutual fund portfolio for moderate risk investors. Today, we will take a look at a conservative portfolio which low risk investors can choose for a smooth and optimal growth in the long term. The most important factor in mutual funds is that if you want to generate returns as per your expectations, then choose funds that match your objective and style. This conservative mutual fund portfolio follows the objective of providing a stable growth to investors, by investing in a combination of schemes that are least risky and don’t show stability even during a huge volatility in the market. For a perfect portfolio, not only you have to select the best schemes and categories, but you also have to carry out the perfect allocation in them. Now, as this portfolio is for the investors with a low risk appetite, the major allocation has been given to the debt funds. Debt funds is a class of mutual funds that invest majorly in debt and money market instruments, because of which they don’t get affected by the volatility of equity market, and provide stable returns. Second the debt schemes, is the aggressive hybrid category, which include schemes that invest in a combination of equity (65%-80%) and debt instruments (20%-35%). At last, we have equity space, which is given the least allocation so that even if the scheme start showing volatility, the high allocation in low risk schemes can help in providing a stable growth. Now, let’s move to the fund allocation. Here, you can see how perfectly the investments have been distributed among schemes from different categories. Have a look at quick overview of all the schemes to see how they will help the portfolio. ICICI Prudential Bluechip Fund (G): This large cap fund has been one of the most consistent and safest options of the large cap category. Over the years, not only this scheme has provided superb returns during the market upside, but has also managed to cap the losses greatly during the market downside. 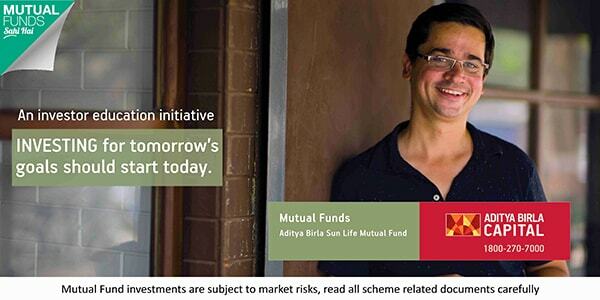 ICICI Prudential Bluechip Fund will help the portfolio in generating higher returns while maintaining the low risk. Reliance Income Fund (G): A medium to long duration fund that has shown a consistent performance over the years. It invests in just 7 instruments, all of which are of high credit quality, thus helps in generating stable returns. Since launch, Reliance Income Fund has generated annual average returns of 8.67%, which is really great. Franklin India Low Duration Fund (G): This low duration fund is added to the portfolio so that a high growth as well as liquidity can be provided by investment in debt instruments. Over the years, Franklin India Low Duration Fund has maintained a first rank in its respective category with the help of optimal management strategies, and a same kind of performance can be expected in the future too. Kotak Credit Risk Fund (G): 20% of the the total investments have been allocated in this fund so that a diversification can be maintained in the debt space. As the name suggests, this scheme invests in instruments with low credit quality, which although makes the risk associated a bit high, but the growth Kotak Credit Risk Fund provides is also exceptional. ICICI Prudential Equity & Debt Fund (G): An aggressive hybrid category fund that has maintained a 4 and more star-rating from the start, by following optimal investment strategies and grabbing the opportunities of the equity as well as debt market. ICICI Prudential Equity & Debt Fund follows a diversified style of investing, which adds stability to the returns and helps it in maintaining the stability even during the tough market conditions. So, now that you know why these particular schemes have been chosen for the portfolio, let’s move to the past performance of these schemes as well as the portfolio, to see how they have performed during good and bad market cycles. The following tables show the performance of the overall portfolio and the selected schemes over a course of 1, 3, 5, and 7 years, respectively. So, have a look at how the portfolio has performed in different market cycles in comparison to the benchmark so that a basic idea of the performance can be taken. As you can see, the portfolio of the scheme has outperformed the benchmark returns at every cycle, and the longer the tenure, the more is the difference in the average returns. Here, the most important thing to observe is that even though sometimes the returns provided by the debt space are not that high, the high returns from the ICICI Prudential Bluechip Fund and ICICI Prudential Equity & Hybrid Fund have increased the overall growth provided by the portfolio. And, when there was a need for stability, debt schemes were there. So, in the future too such kind of behavior can be expected, and is really necessary for a conservative portfolio. With this, we end our discussion for today. Now, if you are also an investor who is afraid of the volatility given by the equity market, but want to generate decent returns by investing in mutual funds, then don’t wait up and start your investment in these schemes as soon as possible. For a more detailed overview of this conservative mutual funds’ portfolio, watch the video at the top of the page.